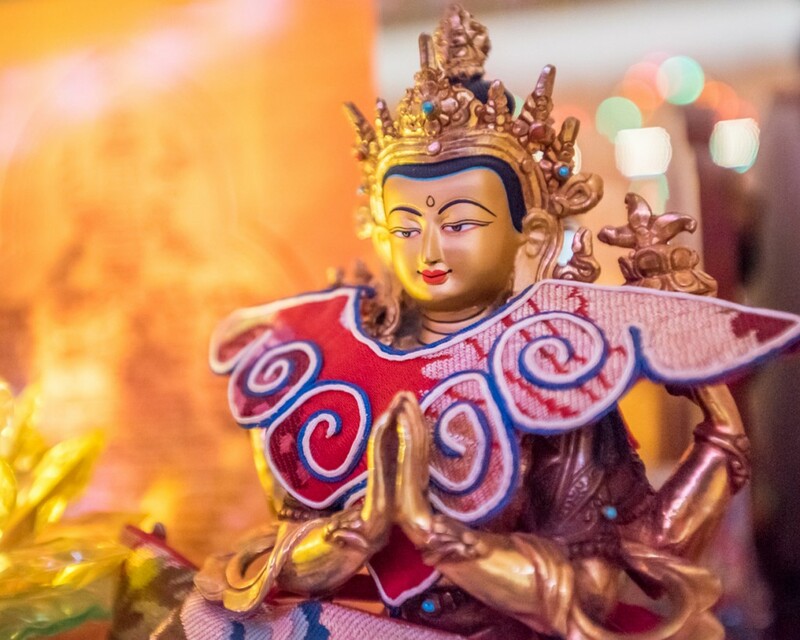 One of hundreds of buddha statues at Buddha Amitabha Pure Land, Washington, US, July 2015. Photo by Chris Majors. All the problems are very good because they purify negative karma accumulated in the past. All those difficulties and problems in your life purify past very heavy negative karmas collected in many past lifetimes. And, by purifying those, you will experience much happiness in the future like the sun shining. So, it’s positive. Remember, you received so many teachings for a long time, and especially on Chöd practice. Chöd should be not just chanting, but practice, especially dealing with all these problems that you are experiencing, difficulties you can utilize as the quickest way to achieve enlightenment for yourself and then free the numberless sentient beings from oceans of samsaric suffering and bring them to peerless happiness, the state of omniscience. That works for their benefit in response to their harm. There are also some teachings on patience I have given at Root Institute I will send you. By seeing them as causes to exhaust the results of my negative karma. Please take time to think of the meaning. Scribed by Ven. Sarah Thresher, Root Institute, Bodhgaya, India, March 2015. Edited by Mandala for inclusion on FPMT.org.